You Are Here: Home > Why Buy a Certified Pre-Owned MINI? Free Download! When it comes to thrilling drives, there’s nothing better than getting behind the wheel of a compact roadster. With powerful engines and tiny bodies, these vehicles hug every curve and zoom past other cars on the highway. However, if you’re not necessarily in the market for a brand-new car, how can you possibly get your hands on the zippy vehicle of your dreams? Luckily for you, certified pre-owned MINI automobiles help you finally get your ideal car with the peace of mind that comes with the certified pre-owned seal. With a rigorous inspection process, you can be sure that these vehicles will stand by your side for a lifetime. You can learn even more about the benefits of choosing a certified pre-owned vehicle by scrolling through your Why Buy a Certified Pre-Owned MINI? eBook. 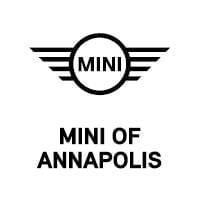 We’ll also help you consider other aspects of purchasing a certified pre-owned MINI, including what you should look for while browsing each inventory. That way, you can ensure you get the best quality vehicle that also perfectly fits your lifestyle. 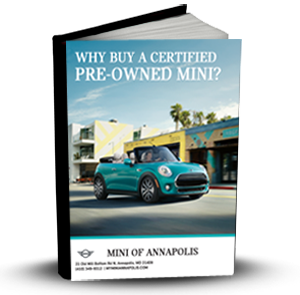 By reviewing this eBook, you’ll have access to tons of coupons to help you save money when it comes time to purchase your certified pre-owned MINI. So, start filling at the form below and download this free Why Buy a Certified Pre-Owned MINI? eBook to get yourself an education on the perks of choosing a certified automobile.